Sacramento thrift stores gained celluloid fame with “Lady Bird,” of course, but thrifting is by no means a new trend here. For one thing, it allows you to create a very distinctive look: You can be certain your 1920s black rayon dress with a plunging neckline is totally unique. 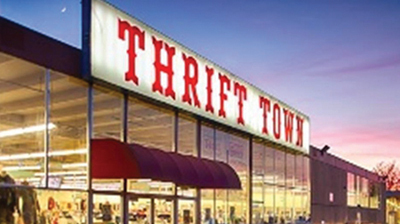 Thrifting is also good for the environment—reuse, recycle, repurpose—and many shops donate to or directly support good causes (SPCA, WEAVE, Loaves & Fishes, Goodwill Industries). But the best part? It’s fun. You literally never know what treasure you’ll stumble on—and it will be a bargain besides. Here are just a few spots to begin your search. Ambience: Located on a quiet block of 21st Street near Broadway, across from St. Joseph Catholic Cemetery, Upscale flaunts whimsical items on the front sidewalk—like a mannequin wearing a red satin cape and a cheeky fox hat. Good to know: This nonprofit has a long-standing relationship with Loaves & Fishes and provides jobs, housing and clothes to those in need. Ambience: This is a thrift store, plain and simple, but a famous one. Admire the retro sign out front and use the same dressing room where Christine “Lady Bird” McPherson and her mother argued. Good to know: Wear comfortable shoes—this place is huge and there are bargains galore. Ambience: Between the decoupage of famous faces at the front door—Bogey, Elvis, Twiggy—and the spot-on ’40s skirt-and-blouse ensemble on a mannequin in the window, stepping into this midtown store is like time-traveling. Good to know: Continue the vibe by grabbing a Pabst Blue Ribbon at the 70+-year-old Round Corner Tavern next door. 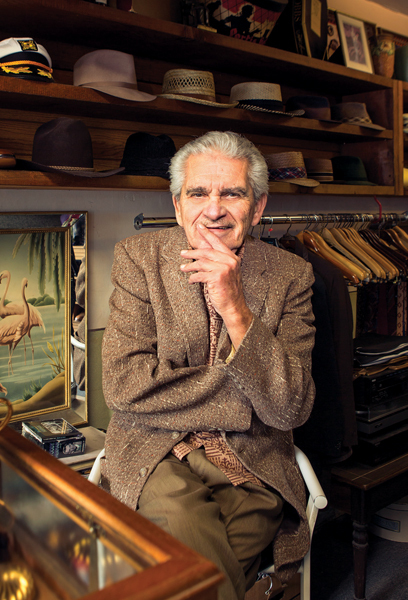 Ambience: Ed’s has the feel of a haberdashery Don Draper might frequent. It’s located in pedestrianfriendly midtown near Temple Coffee and Mike’s Camera, as well as other secondhand shops (Free-Style Clothing Exchange across the street, The Past and the Present around the corner). Good to know: The friendly owner, Ed Castro, is usually at the front counter catching up on neighborhood gossip. Ambience: This swanky boutique is decked out—with Edison lights, a long red-brick wall, wave-shaped bookcases and private dressing rooms—and located near Firestone Public House and Station 16. Good to know: Street parking can be challenging, so grab a spot in the lot on the corner and pay via the SacPark app. Ambience: This plain and simple thrift store is not famous, but it has a fun young vibe with lots of cute teen shoppers and suburban moms looking for a deal. Good to know: Color tag sales happen daily, with discounts of 25–75 percent off.